For Shimano 7 & 8 speed, Campagnolo 8, 9 & 10 speed, SRAM-ESP 2000 mechs. Absolutely brilliant, if it wasn't for the postage costs I would replace the jockey wheels on our other two bikes.The only unknown is how they will perform over time. Can I use these with a Shimano 600 rear mech? 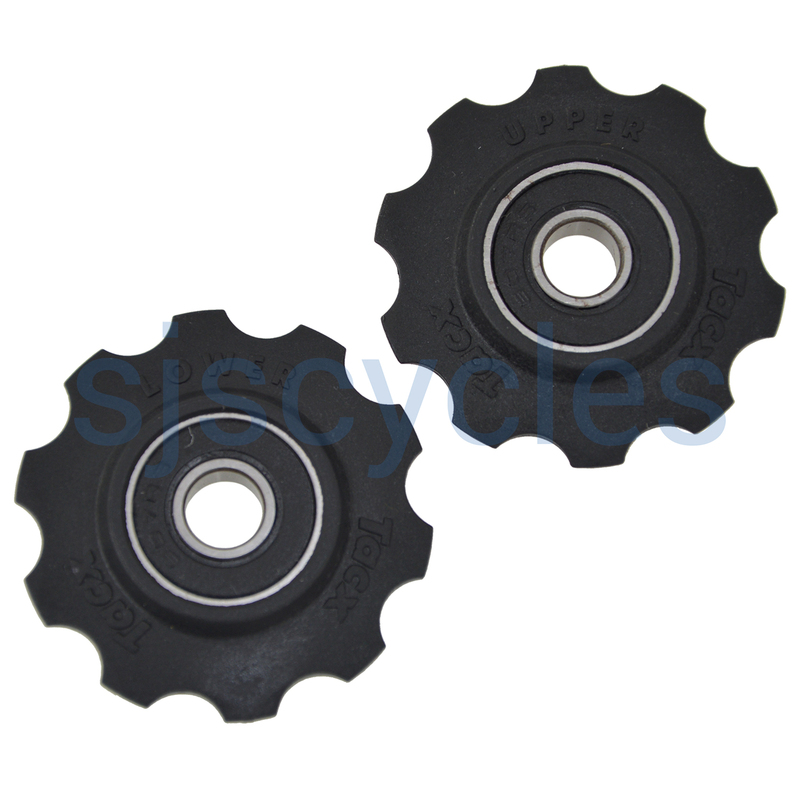 These jockeys wheels would be our recommendation for your Shimano 600 rear derailleur. Is This Suitable For A Rear Mech With A 6Mm Bolt? I have a vintage Suntour VX rear mech. Is there a spacer provided which is suitable for a 6mm jockey wheel bolt? Yes there is indeed a set of spacers provided designed to take a 6mm jockey wheel bolt. I Have A Shimano Rsx 8 Speed Rear Mech. Will this be a suitable replacement for the jockey wheels?